The terms ‘us’, ‘BuckBee’, ‘Buck Bee Ltd.’, 'BUCKBEE LIMITED', ‘we’ or ‘our’ refer to the content of this website whose details are set out below; the term ‘you’, ‘your’, ‘visitor’, ‘client’, refers to the client, viewer or user and business/company of this website or linked representative. We have used reasonable care an skill in compiling the content of our website but make no warranty, expressed or implied, as to the nature of accuracy of any material on the website and we nor any third parties can accept liability for any particular material on the website or as a result of any use of the reliance placed upon information contained within the website. Although every effort is made to ensure complete accuracy, some prices or details shown on the website may change from time to time, and it is possible that errors will occur; we will use reasonable actions to rectify any errors as quickly as possible. We reserve the right at any time to change or discontinue without notice, any aspect or feature of this website; no information shall be construed as advice and information is offered for information purposes only, you use, rely on this websites information at your own risk and we accept no liability for any loss or damage including without limitation, indirect or consequential loss or damage, or any loss or damage whatsoever arising from the loss of data or profits arising out of, or in connection with the use of this website. BUCKBEE LIMITED. May make available to you chat areas, review areas and/or other means by which communications, including user generated content, may be made available and/or circulated publicly on our website; shopping and other commercial and/or transactional services, advisory services; and/or competitions and/or prize draws (altogether these services make our ‘Interactive Services’ and shall be relayed upon as ‘interactive services’ through-out the rest of these terms). The interactive services may be operated by third parties, in these cases this will be made clear to you. Where such interactive services are operated by a third party you may be asked to supply information and/or data (including but not limited to financial, credit card and or bank data), where there that third party may have specific additional terms and conditions which apply. Additionally, when using interactive services operated by such third parties, you will be dealing with them directly and as such any contracts and/or arrangements will be formed between you and them, without BUCKBEE LIMITED. As a party, we cannot be held liable for your use of, or any liability arising out of the same (except of that by law). This website and the interactive services are for personal and non-commercial use only, you are not permitted to copy (manually or electronically), replicate and/or print portions of our website and/or interactive services other than that for your own personal and/or non-commercial use. You are not permitted to use any information from any directory or other listing or information retrieval service (if any) made available on or by our website or interactive services, in connection with any business or commercial undertaking (whether or not for profit). Any other use of materials on our website including but not limited to our interactive services and/or goods, including user generated content (including but not limited to reproduction for a purpose other that that noted above and any modification, distribution or republication) without our prior written consent is strictly prohibited. You also agree not to deep-link and/or frame to the site for any purpose, unless specifically authorised by BUCKBEE LIMITED. You are prohibited from using our website and/or interactive services to transmit or knowingly or recklessly receive, submit/transmit (or knowingly or recklessly authorise or permit any other person to receive and/or submit/transmit) material which is but not limited to threatening, defamatory, obscene, indecent, seditious, offensive, pornographic, abusive, liable to incite racial hatred, discriminatory, menace, scandalous, inflammatory, blasphemous, in breach of confidence, in breach of privacy or that which may cause annoyance or inconvenience; for which you have not obtained all necessary licences and/or approvals; which constitutes or encourages conduct that would be considered a criminal offence, give rise to civil liability, or otherwise be contrary of the law of or infringe the rights of any third party, in the UK or any other country In the world; or which is technically harmful (including but not limited to computer viruses, logic bombs, Trojan horses, worms, harmful components, corrupt data or other malicious software or harmful data and/or makes excessive demands for bandwidth). You may be supplied with or create your own username and password in which you agree shall be true, complete and accurate information about you and will be kept secure at all times. You agree that you will not submit any material to BUCKBEE LIMITED., including but not limited to user generated content in respect of which you do not have the necessary licences or approvals; which constitutes or encourages conduct that would be considered a criminal offence or otherwise contrary to any law, regulation or code of practice, give rise to civil liability or infringe the rights of any third party; that which is technically harmful; which is or may be deemed to be advertising or promotional materials, collect or store other users’ personal data unless permitted to do so by such user. You will not impersonate any person or entity when submitting user generated content or misrepresent any affiliation with any person or entity. You acknowledge that BUCKBEE LIMITED. Holds no obligation to monitor any user generated content but we hold sole discretion to display, modify, distribute or delete any such material in its sole discretion and may remove any such material at any time without notification. Notwithstanding this, you are solely responsible for and bear the risk associated with such user generated content, including and resilience on the accuracy, completeness or usefulness of the same. You recognize our website may enable users to view the profile pages of registered users and enables registered users with profile pages to share personal data with other registered users who have profile pages. You agree that you will only use other users’ personal data published on the site in accordance with the applicable laws and regulations (including but not limited to data protection laws) and without limitation to the other provisions of these terms, that you will only use other users’ personal data for lawful purposes and as expressly permitted by any other user. If you publish user generated content via our interactive services by way of contributions to chats, discussions, or user reviews or comments or via your profile page, you automatically and hereby grant to us (BUCKBEE LIMITED.) a perpetual, royalty free, irrevocable, non-exclusive right and licence to use, reproduce, modify, publish, translate, create derivative works from and distribute such user generated content into any form, medium or technology now known or hereafter developed. In addition as between you and us, assert and waive any and all moral rights in such user generated content. The intellectual property in all design, text, graphics and other material (other than user generated content) and the selection or arrangement of such material in our website and/or our interactive services and/or our goods is owned by BUCKBEE LIMITED. and/or its respective licensors. Except to the extent required by law, no representations, warranties, or terms of any kind are made in respect of our website and/or interactive services and/or goods or their contents (including but not limited to any view/s or comment/s made). All information and/or data included in/and/or on our website, our interactive services, our goods and/or in any directory or other listing/advert or information retrieval service made available on or by our website and/or our interactive services and/or goods has been made available for guidance only. Your use of such information and/or data is therefore entirely at your own risk. 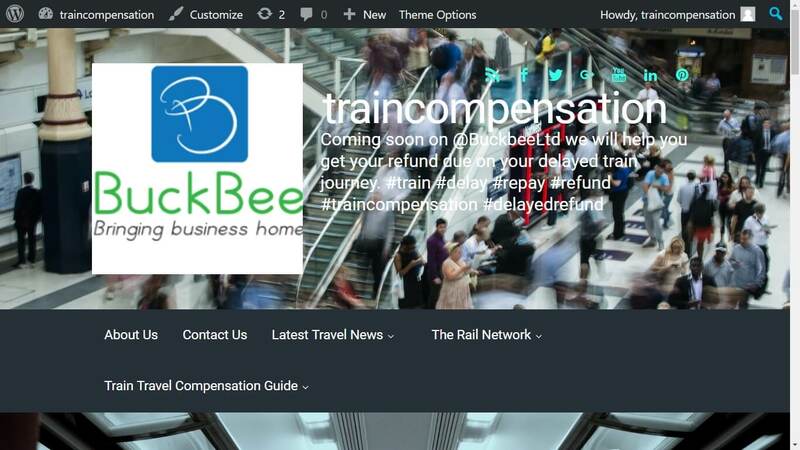 All liability of BUCKBEE LIMITED., its directors, employees or other representatives howsoever arising for any loss suffered as a result of your use of our website, interactive services and/or goods is expressively excluded to the fullest extent permitted by law. Our website, interactive services and/or goods, may include links to websites and/or services owned and/or operated by third parties; these are provided for your convenience only and we will not be held responsible for and will not give any warranties or make any representations regarding any such websites and/or services; also we will not be responsible for or liable in relation to the content or your use of such websites (except to the extent of that required by law). Due to the nature of the internet we will not promise full and error free operation of our website, interactive services and/or goods at all times. All the liability of BuckBee ltd., its directors, employees or other representatives howsoever arising for any loss whatsoever arising from your use of or ability to use such services is excluded, to the fullest extent possible to do so in law. We will use reasonable undertakings to ensure that our website, interactive services, goods and any information it holds on you are kept secure; however due to the nature of the internet we cannot accept any liability for those who intentionally attempt to and/or gain unauthorised access to the same by means including but not limited to, computer hacking (except to that extent by which BuckBee Ltd. Is unable to exclude such liability by law) While we endeavour to ensure that this website is normally available 24hours a day, we will not be liable if for any reason this website is unavailable at any time or for any period. Access to this website and its contents may be suspended temporarily and without notice in the case of system failure, maintenance or repair or for reasons beyond our control. Where a claim is brought against us by a third party in relation to your use of our website, our interactive services, our goods and/or any user generated content you agree to fully reimburse us and all companies within the BUCKBEE LIMITED. Group for all losses, costs, actions, claims, damages, expenses (including but not limited to reasonable legal costs and expenses) or liabilities, whatsoever suffered or incurred by us or companies within the BUCKBEE LIMITED. Group in or as a consequence of your breach of this agreement and/or your use of our interactive services. You may not assign sub-licence or otherwise transfer any of your rights under these terms. If any provision of these terms and conditions is found by any court of competent jurisdiction to be invalid, the individual of that provision will not affect the validity of the remaining provisions which shall continue to have full force and effect. 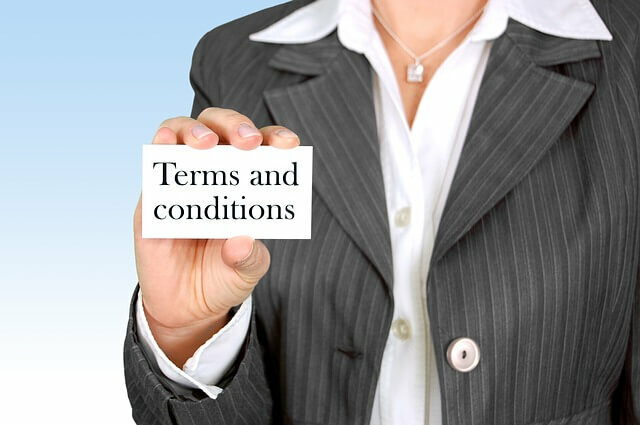 Only the parties to these terms and conditions may seek to enforce them under the contracts (Right of Third Parties) act 1999. We reserve the right to assign or transfer all or any of it’s rights and obligations under this agreement to any companies in the same group as BUCKBEE LIMITED. Or other third parties’. In the event of assignment or transfer notification will be given via Email or as a posting on our website homepage. If any provision of the contract/agreement is or becomes illegal, invalid or unenforceable in any jurisdiction, that shall not affect the legality, validity or enforceability in that jurisdiction of any other provision of the contract/agreement or the legality, validity or enforceability in any other jurisdiction of that or any other provision of the contract/agreement. The contract/agreement shall be governed and construed in accordance with the law of England and both parties agree that the courts of England and wales shall have exclusive jurisdiction. We will co-operate with law enforcement or regulatory authorities or any court order requesting or requiring it to disclose the identity or location of anyone who has submitted user generated content to us in breach or allegedly in breach of these and any other related terms. In the event that you are found in breach of these terms at any time, we may terminate any account/s you have with us and you may not open another account with us; we also reserve the right to terminate such account/s. In the event that you are found to contravene these terms we reserve the right to contact (including but not limited to) your employer, school, college or internet service provider.